Our staff are trained to improve their skills and confidence when dealing with conflict. We work in partnership with the nationally accredited Conflict Training Company Ltd. 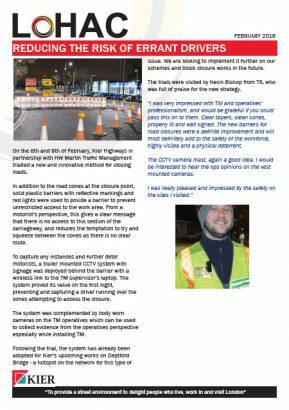 It was established in 2004 and specialises in training managers and staff to improve their skills and confidence when dealing with conflict. The conflict management training courses are highly participative workshops. Attendees have an opportunity to explore how they personally respond to conflict and to practise skills during individual and group exercises. The course raises participants’ understanding of the background to conflict and the contribution they can make to either calming or escalating a confrontation. During the training day participants learn and practise key skills to build their confidence and to maintain composure whilst de-escalating customer conflict. Why customers struggle to communicate when they are upset. How our behaviour might escalate conflict. Different communication styles and the role they play in escalating or de-escalating conflict. Remain calm in conflict situations. Be able to select the most appropriate style of communication to handle difficult situations. De-escalate conflict using a 4-step model. Identify methods for addressing abusive and aggressive behaviour. 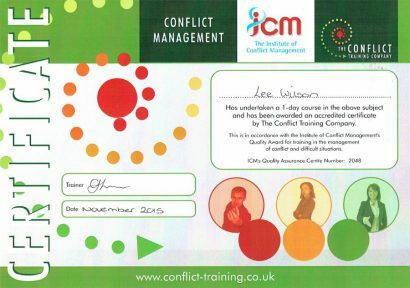 At the end of the course, successful participants are awarded a certificate in conflict management, as shown below.